Koh Chang (Elephant Island) is one of Thailand’s most underrated islands. Although there is a bit of party scene in the Lonely Beach, the island still retains its rustic feel characterized by its verdant forests. With our 3-day suggested itinerary, you would have a real taste of this charming island and you will be introduced to its best attractions. You can absolutely make any changes you like, to adapt the tour to your preferences. Enjoy Koh Chang! 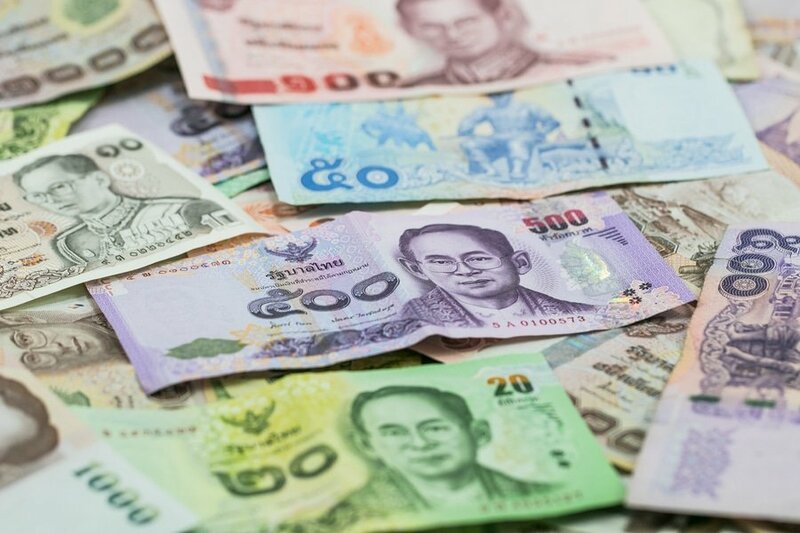 Currency exchange – The official currency used in Thailand is the Thai baht (TBH). ATMs can be found in Airport, most tourist centers and shopping malls across the country. Exchanging money in Koh Chang is easy and follows the same standard to elsewhere in Southeast Asia. It’s also good to know that some establishments accept US dollars but do not count on it as your only payment method. International credit cards are widely accepted, though small businesses, especially stores and restaurants may not accept them. If you are staying in a lesser-known part of the island, make sure to exchange money before you get to your hotel. Getting there – Koh Chang is an island near the Cambodian border. 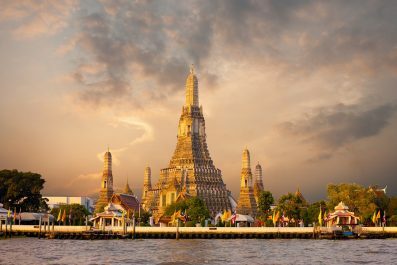 There are several ways to get there if you are coming from Bangkok – air, bus, taxi or rental car. Trat Airport is the main airport in the region, which serves domestic flights to and from Bangkok (Suvarnabhumi and Don Mueang) and Chiang Mai. From Bangkok, you can also get to Koh Chang by rental cars, minivans and local buses. Depending on the bus class (VIP, 1st class or 2nd class), you can expect to pay between 200 to 300 Baht each-way. Travel time is approximately 5 hours. From Laem Ngop (Koh Chang ferry pier), it will take about 30-45 minutes to get to the island. 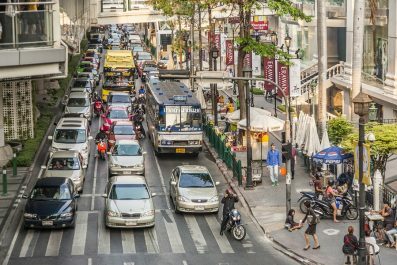 Getting Around – Getting around Koh Chang and taking public transportation might be a shocking experience to foreign visitors. Transportation options include small minivans (tuk-tuks), local buses (songthaew), motorbike sidecar taxis (Săhm·lór), and rental cars. Renting a motorbike is one of the most popular ways to get around, but we do not recommend it to non-experienced drivers. 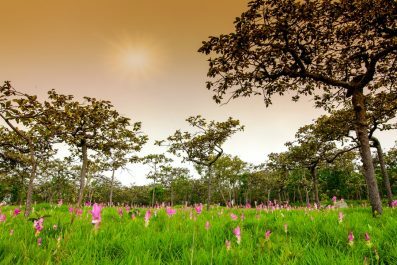 Where to stay – Thailand has a wide range of accommodation options, with something for every level of comfort and budget. If you are going to follow our suggested itinerary, we recommend hotel option in White Sand Beach and Lonely Beach to get easy access to most attractions. If you’ve been to Koh Chang once before, or if would like to venture away from most tourists, then we suggest Long Beach or Ban Bang Bao. 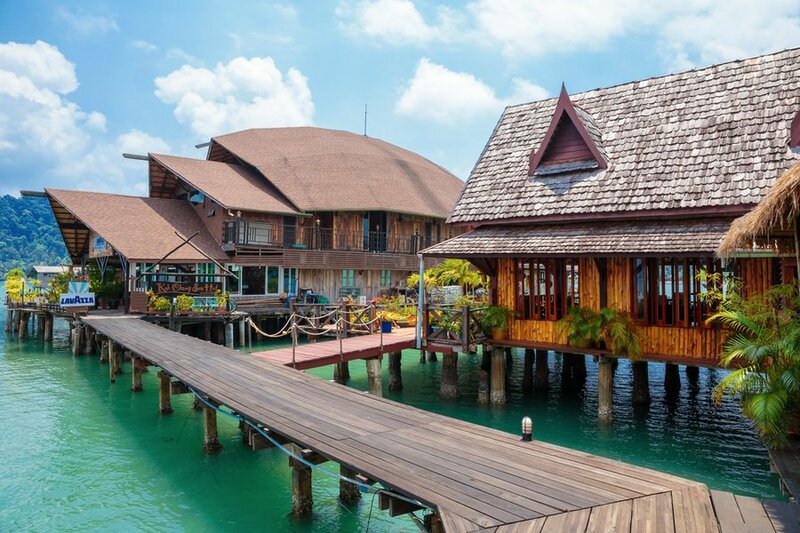 Since you only have 3 days in Koh Chang, it can be tough to whittle down the must-sees. So on your first day, start early and enjoy breakfast at one of the restaurants where locals go frequently. 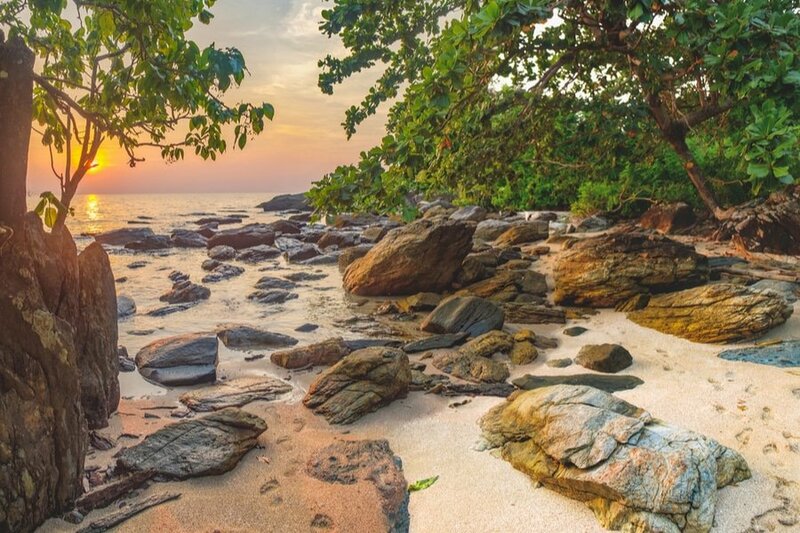 The best way to get an introduction to Koh Chang is to check out the White Sand Beach, known to locals as Haad Sai Khao. The main strip of this beach has been bombarded by too many shops and hotels so it may be disappointing to many. It is, however, the best place to arrange your island tours, get cash from the local banks, rent motorbike, and try different local and international restaurants. Spend the afternoon at Bang Bao, which is a local fishing village. Although it does not have the fine sand of White Sand Beach, Bang Bao Beach still offers a quiet and relaxing stay. It’s the perfect place to laze around all day or spend your afternoon in a hammock reading a book. Enjoy swimming and don’t forget to bring some snack or booze. Wake up to a delicious breakfast on your private room or get a slice of authentic island life in local bars and restaurants. After breakfast, check off the next thing on your wanderlust wish list, which is to see the colorful reef fish, corals and other marine species. 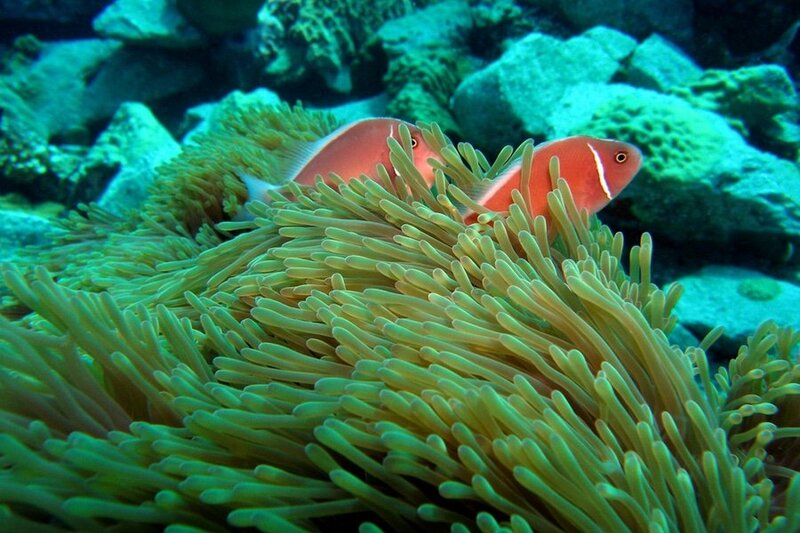 You can either join a snorkeling day excursion or go on a diving adventure offered by tour agencies in White Sand Beach. Snorkeling trips depart daily mostly from Bang Bao, which is the southern part of the islands, by speedboats or the iconic Thai long tale boats. On day 3, visit another off the beaten destination, Chai Chet, located in one of the most secluded parts of Koh Chang. Framed by palm-fringed beaches, lush Rain Forest, plus budget bungalows and luxury resorts, Chai Chet is certainly a beach paradise. This beach is ideal for families and backpackers who wish to stay longer. In the afternoon, head back to your accommodation. 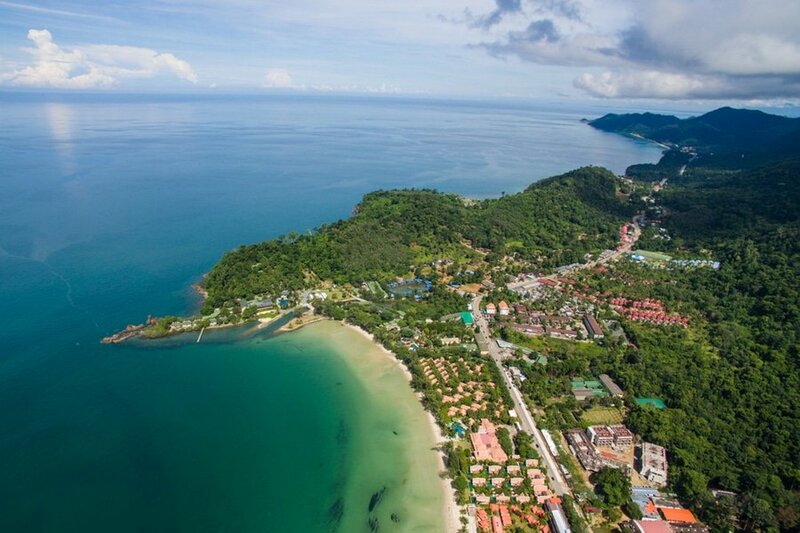 It’s totally up to you whether you’d extend your stay in Koh Chang, combine the trip with few days on the surrounding islands. The decision is all yours! 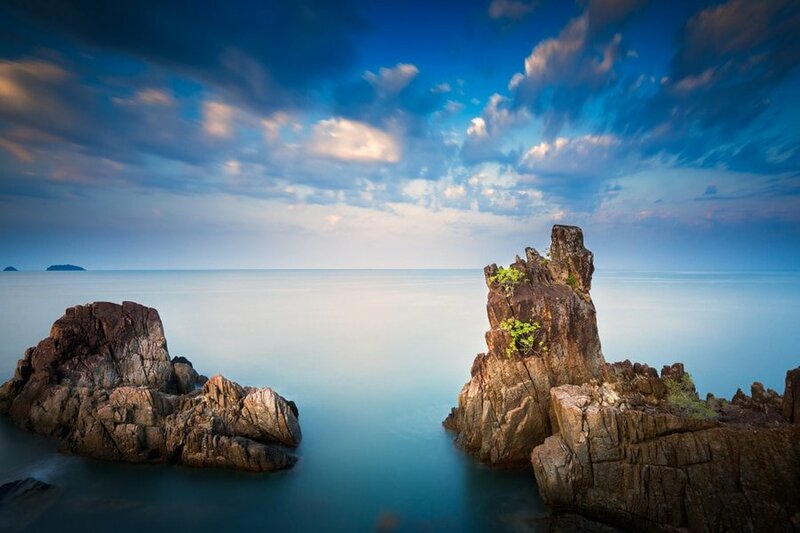 Have you been to Koh Chang or anywhere else in Thailand? Do you have any tips or suggestions to share? If so, you can leave your comments below.